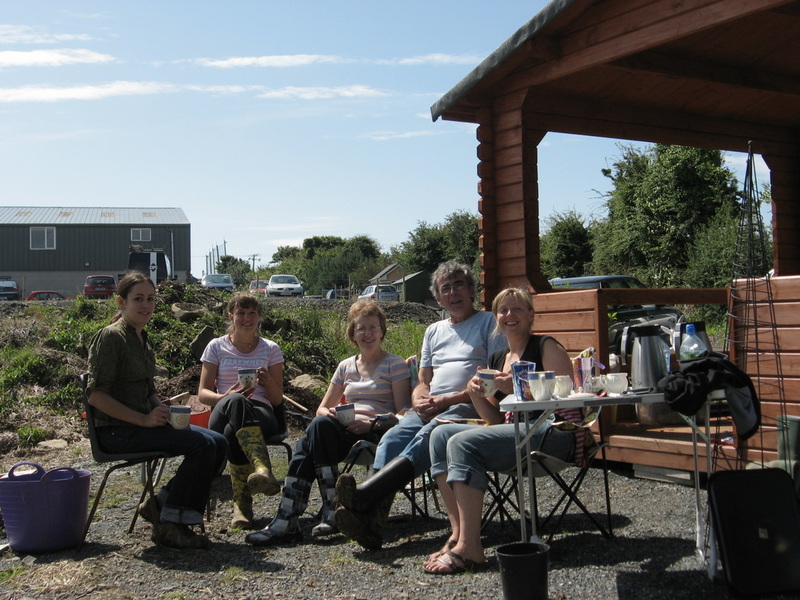 After over a year of preparation and planning, preparation and planning, Dunhill Ecopark celebrated the completion of its community garden in the summer of 2009. The project wouldn’t have been possible without the massive support from the local community with businesses providing everything from materials to plants and people providing blood, sweat, much laughter and the occasional tear! We believe the benefits of community gardens are manifold. Not only do they provide productive, creative, safe, high quality open spaces. They also provide opportunities for people to learn new skills and abilities, either informally or on formal accredited training courses; improve physical and mental health; they also provide a valuable tool for bringing people together of different abilities, ages, and cultures, aiding in community cohesion. For the month of July 2009, Dunhill Ecopark welcomed Giulia Mattalia, a Slow Food enthusiast from Turin in Italy. Giulia possessed a keen passion for gardening and an in-depth knowledge of plants and has produced a manual for the garden recording all the plants, including an accompanying monthly activity calendar. This was crucial and time consuming work which would have taken many months for our volunteers to complete. The community garden is situated next to the wetlands, weather station and apiary at the rear of the Ecopark and is a key asset for Dunhill Ecopark. It was created with the aim of providing opportunities for environmental education for schools and the community as a whole. It provides a creative and natural space to relax and to learn about growing your own food and sustainable living. Designed using an organic and permaculture principle, the garden helps demonstrate how we can live more in harmony in nature and be more sustainable, whilst reflecting wider ethos of the Ecopark.